Kelvin T. Erickson (Ph.D. ’83 elec engr) was named Curators’ Distinguished Teaching Professor of electrical and computer engineering at Missouri University of Science and Technology. Erickson earned a Ph.D. in electrical engineering from Iowa State’s Department of Electrical and Computer Engineering in 1983, after earning a bachelor of science and master of science degrees in electrical engineering from Missouri S&T. After earning his Ph.D. from ISU, Erickson returned to Missouri S&T as an assistant professor of electrical engineering. In 1992, he was named assistant chair for laboratory development and promoted to associate professor. In 2000, he was named assistant chair for undergraduate studies and promoted to full professor. Erickson served as the chair of electrical and computer engineering from 2003-14. Erikson has brought in over $1.3 million in research grants. His research focuses on manufacturing automation, programmable logic controllers, plant-wide process control, model-based predictive control and system identification. Erickson accomplished many things during his tenure. He developed a minor in automation engineering and helped add six new courses and several software programs for student use. He has received 16 Outstanding Teaching Awards and three Faculty Excellence Awards. In 2004, he received the Dean of Engineering Teaching Excellence Award and in 2015, he received the IEEE Region 5 Outstanding Engineering Educator Award. 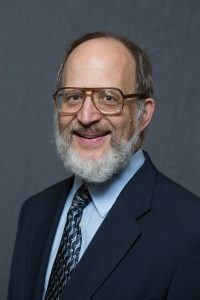 He received an S&T Faculty Teaching Award in 2018.